This beautiful design of toddler inflatable playground, and inflatable throne combination, will have toddlers entretain for hours. 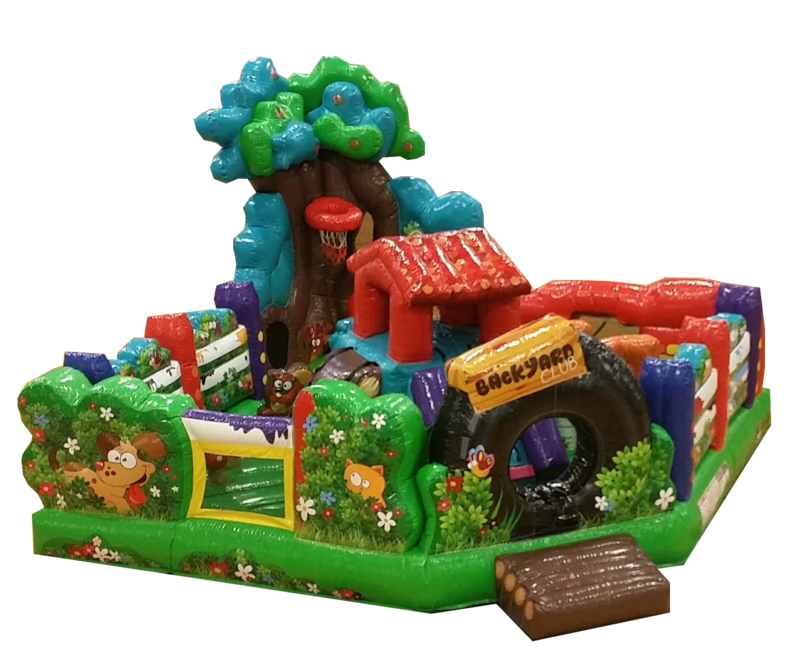 This toddler bounce house is specially design with our little ones in mind, with bright colors, cute animals and a nice slide inside, and the best of all, the parents can see their children at all the times. 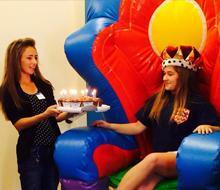 The inflatable throne is a must for that great picture with your toddler. So please get your camara ready... It's time to take some awesome pictures!!! 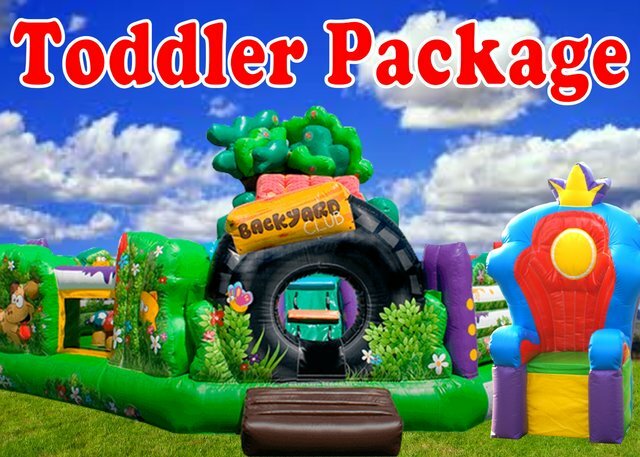 See how beautiful the backyard toddler bounce house is.